Looking at weird websites again? It can be hard to find a meaningful, mystical practice that’s not built on cultural theft or dogmatic rules. It’s hard to find a community of like-mind if you like to change your mind, freely and frequently. But, there is something we have in common beyond mind, culture, and belief. We’re human. What if our life is mythology? What if our body is a grimoire? What if our humanity is the initiation? What if we are enough? Spiritwork is the art of engaging in meaningful conversation and relationship with spirits, especially hidden or subtle spirits. That definition is pretty standard. A more telling question is: How do you define spirit? Around here, spirit means identity. If there’s a word for it, then it’s a spirit. The Moon is a spirit. Hope is a spirit. Music is a spirit. A leaf is a spirit. A tree is a spirit. A forest is a spirit. My heart is a spirit; it’s a leaf in the forest of my ancestors, who are spirits. Maybe you don’t believe in ghosts and think it’s just the idea of our ancestors that lives on after death. That’s cool. Ideas are spirits, too. I have meaningful conversations with my ideas all the time. Spiritwork requires no particular beliefs, if anything, I’m here to support you in questioning your beliefs. I’m also here to help you see*. Spiritworkers utilize altered states of consciousness, called trances, to communicate with spirits that are ordinarily too subtle to notice, much less invite over for a cup of tea. The word trance comes from Latin transire meaning to go across. You can imagine a boundary separating the physical world from the hidden world. We cross that boundary through trance. But why would just shifting our state of mind through trance help us cross some kind of supernatural border between worlds? Because the separation exists only in our minds. The Otherworld isn’t really Other—isn’t elsewhere. It’s everywhere. The spiritwork that I’m sharing here is animistic, meaning, it’s not just everywhere, it’s in everything. Animism is the idea that all things are animated, that all things have a kind of life worth noticing and worth knowing. I think you’re worth knowing and noticing, too. I read and respond to every introduction, comment, and question in my free online course & community. Would love to hear from you, free spirit! *Seeing not required. Hearing also works. So does touch. All physical senses are valid. Non-physical senses are also valid. I’m working on smell-o-vision, personally. Why is it called Spiritwork? Spiritwork is not something you receive like a birthday present or sit back and enjoy like a concert. It is a skill we choose to develop, a muscle we strengthen, an art we practice, and a language we learn. It’s called Spirit+work because it’s something that we do. Spiritwork requires us to show up and engage. Daydreamers, yes! Slackers, nope. It requires both freedom and discipline, trance and focus. Have you ever been so engrossed in a TV show that when someone walks in and asks what you’re watching, you don’t even hear them? What if you could freely choose what engrossed and fascinated you, and to what depth? Imagine how rich your experience of a flower could be, or the twinkling lights in the city, the thunderstorm inside your head, or the wilderness inside your heart. As we learn to gaze gently, without retreat, into our own occult (meaning: hidden) places, our gaze becomes stronger, freer, and more dexterous. We will explore our depths and heights, our shadows and our brilliance. It is through exploration, knowledge, and honesty with ourselves that we cultivate the skills required for honest, clear communication and exploration with others. But spiritwork is not just about communicating and playing telephone with spirits, it’s about collaborating and creating a meaningful life with them. It is the places you will go together; the things you will build together. It is the stories and the inside jokes. It is the magic you will make and the great meals and ideas you will share. Only if it’s done by a witch. So, up to you. I’m a witch, but I understand if the word witch bothers you. Most cultures that use the word witch define it as someone who uses magic to hurt other people. There’s usually a separate word used to describe practitioners that help people: cunning folk is used widely in southern England and in English-speaking areas of Wales, de kolka means the Wise Ones in Swedish, and fattuchiere means the Fixers in Italian. But, it’s possible that witch didn’t always mean someone who does harm. Linguists haven’t been able to determine a single, definitive etymology for the word witch, but most of the current theories sound like more versions of cunningfolk. Witch may originate from a word with one of the following meanings: wise one, sacred one, soothsayer, one who shapes, one who awakens, and others. During the last century a number of mystics, occultists, and practitioners of traditional magic sought to reclaim those more ancient possibilities for the word witch, while enjoying the heretical bite of using a word that scares people. Many modern witches use the term precisely because they want to see who will run and who will ask: “What do you mean by that?” It’s an excellent test, since studying witchcraft requires us to repeatedly sacrifice everything we think we know in order to access deeper truths. Does this mean that all modern folks who call themselves witches are actually healers and helpers in disguise? No. Definitely not. It means that if you want to know, you have to ask. So, what kind of witch are you, Ren? In my martial arts and my magic I choose not to harm others so long as alternatives exist. Training is, in part, about learning to see those alternatives while in crisis. I rather enjoy witch as one who awakens. That about sums up my work. I also like taking the word that was thrown at me as an insult when I was a child and choosing to wear it as a badge of honor. Also, I use it as fair warning that I’m not all sugar. I have destroyed people playing Cards Against Humanity. Utterly destroyed. All of my videos and recordings include written transcripts to account for differences in learning-style and physical ability. My programs are self-paced to make them equally accessible for folks with less available time or less predictable schedules. Need-based discounts are available for folks who are unable to support this work monetarily at this time or who live in areas that utilize currency that is weak against USD. EXCLUSIVITY + Currently, my work is only available in English. I’d love to change that some day. Unfortunately, while my videos and guided meditations always have transcripts, they do not yet have closed captions. I am open to discussing all accessibility questions and concerns. Folks whose beliefs endanger the well-being of the community (racism, sexism, homophobia, ableism, or other intolerant beliefs) will not be included in our group spaces, but will still be welcome to utilize the training materials, especially the lesson on dogmatic trance. In fact, I’d suggest reading that part twice. Are you always this long-winded? Humans have an innate capacity for trance. Let’s look at the role it plays in our daily lives, our relationships, our culture, and our practice of spiritwork. We can cultivate the ability to choose how, where, and when we enter this malleable, magical state of mind. A 2-hour live teaching with guided workings on Sunday, September 30th + 4pm-6pm EDT or Wednesday, October 3rd + 2pm-4pm EDT (time zone conversion provided during reservation process). Recording will be available for two weeks. Recommended payment of $13 will be requested after class, no one turned away for lack of funds. 3. Mechanics of Trance + 4. What is Soul? 3. Trance + 4. What is Soul? 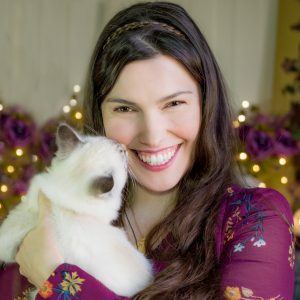 Learn spiritwork and related magical arts through the study of human life from babyhood to death (and beyond.) Babbling, uninhibited like a baby, teaches us to speak power. Building an imaginary world like a child teaches us inner vision. Breaking the rules like a teen, we learn to create magic. Our adult awakening brings spiritual crisis. We learn creative power through the spirits we nurture and guard like a parent. And, we discover from elderhood that old dogs have the best tricks. We explore death and the ancestral lands. And, we finish deep in the Beyond, the place from which life emerges and to which it returns, the crucible of spirit. Who owns my Soul? + Why does suffering exist? + Can I forgive myself? + What can I create? + Who can I love? + Will I die? Human+Spiritwork both is and is not a tradition. Human+Spiritwork does have phrases, keys, and visions that are unique to the program and that will become a common language among participants, but the source mythology is just: Human Life. For folks who feel culturally homeless, who aren’t sure of their ancestral connections, who were raised without religion, or otherwise haven’t been able to find a place to put down mystical roots, y’all are welcome to let Humanity be your tradition. For folks who already have a religion or mystical tradition, Human+Spiritwork has no specific rules or beliefs, so it can fit well with most practices that allow for deep meditation and questioning. It also means that folks are free to change religions, cultures, or traditions as they wish without needing to walk away from this course. So long as you don’t change species, the course should still be applicable. Atheists and folks who don’t believe in a literal, conscious hidden world or afterlife are welcome. If you’re interested in altered states of consciousness and the healing benefits of imagining conversations with your Ancestors, you’re good to go. Course consists of 8 self-paced phases. Each phase is 13 chapters and takes most students 4+ months to complete. Completion of the entire program will take 2+ years. Phases are $80 each and can be purchased one at a time. ($80 x 8 phases = $640 for the whole program). Discounts are available to those for whom this price would create financial hardship and for those living in countries whose currency is weak against USD. This course is currently in development. It is 70% complete as of March 2018 and has 40 brave spirits enrolled and doing the work. Folks who have gone through Simple+Spiritwork are welcome to enroll in Human+Spiritwork whenever they feel called. (There’s no need to feel prepared or ready, just called. You’ll be starting in Babyhood where enthusiastic confusion is welcome!) There isn’t a website for this program yet, but feel free to e-mail me with questions or if you’re ready to join. Modern+Spiritwork pushes us to work even more deeply in the present world, with an eye to the future. We will look at computers, technology, money, politics, transportation, food systems, time manipulation, and many other forms of delightful pre-apocalyptic spiritwork. Modern+Spiritwork asks us to participate in the creation of culture. Traditional+Spiritwork is conscious collaboration with the Hidden Folk facilitating connection between the worlds done in committed service to a community. You have Spirit Guides. Are you ready to become a Spirit Guide? When Voice, Vision, & Purpose unite, Traditional+Spiritwork begins. 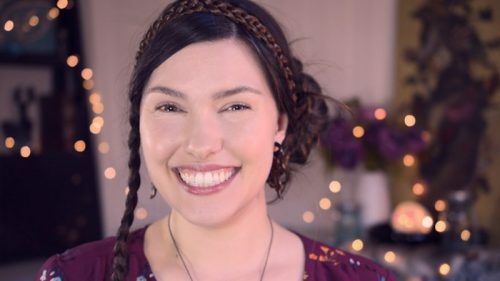 My name is Ren Zatopek, and I’ve got this big smile on my face because I love helping folks explore spiritwork and witchcraft. It’s been my full-time gig for over a decade! There’s so much more than seances and spells. Spiritwork and witchcraft can free our spirit, inflame our soul, and awaken our unique, creative vision and voice. Spiritwork helps us understand how sensitivity can be a gift. It teaches us to reach through the confusion and encounter the hidden identities around us with honesty. Witchcraft encourages us to embrace our free will and our wildness. Rather than begging for blessings, we bring our wisdom and power to the table, too, and share as family with the spirits we love. I learned spiritwork, foremost, the old-fashioned way: by listening to that little voice in my heart for so long that it grew in intensity, and, like light through a prism, revealed itself to be many voices—wacky, wise, and wonderful. I’ve also had some mighty and magical teachers, foremost Rita and Griffin Ced and Orion Foxwood. I’m an initiate of the Ced Tradition of Heretical Witchcraft and of Raven’s Cry Grove, Ár nDraíocht Féin. Despite or perhaps because of a neurological disability, I consider physical training to be integral to spiritwork. I’ve studied Yang-style Tai Chi, Ninjutsu, and Aikido for many years and am a graduate of the Institute of Psycho-Structural Balancing, a program for professional bodyworkers. I have also learned from every person I worked with in my ten years of private practice as a spiritworker and bodyworker, as well as all the folks that have brought their unique perspectives to my events and classes.And now I’ve got an even bigger smile, because I bet you wouldn’t have read this far unless you had a little weird or winding story of your own to tell. I would love to hear it! Head on over to the free program in my classroom and tell me and your fellow free spirits all about it. +Work at your own pace. Ready to explore Spiritwork without dogma or pants? + 8 years of training, if youre into that. + 80 lessons & workings for free. + People as weird as you are. + 8 years of training. + 80 lessons for free.